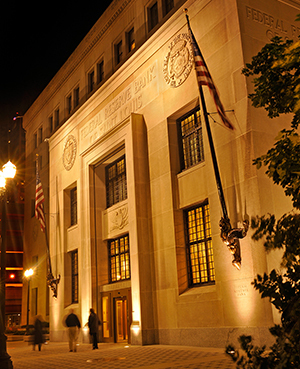 We are pleased to bring the 25th annual meeting of the Midwest Econometrics Group to the Federal Reserve Bank of St Louis. The conference program will include a mix of contributed sessions and an after dinner speech by keynote speaker Professor Graham Elliott of UCSD. More details including the conference schedule will be provided later on the conference web page. There will be a $25 registration fee for all participants except those currently enrolled in graduate school. The fee will cover all meals and coffee breaks, including the conference reception and dinner held on October 9th. Registration for this event will open May 1, 2015. Hotel bookings after this date cannot be guaranteed.